Edwards & Godding offer our own traditional in-frame kitchen cabinets made on the edge of the Lake District. 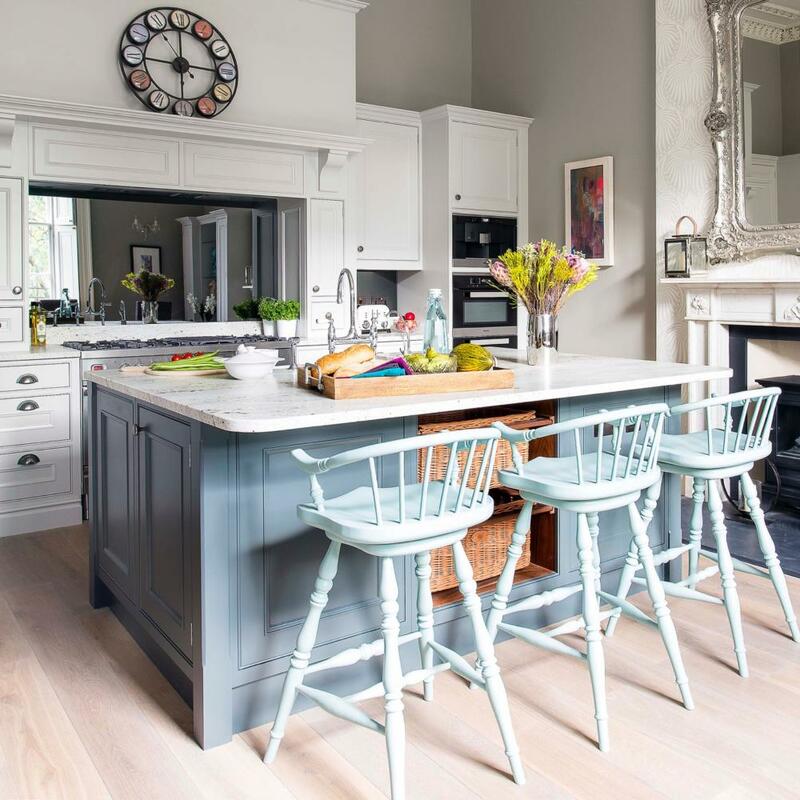 Our beautiful shaker style in-frame kitchen cabinets can be hand painted in whatever colour you wish and also come in a complementary range of woods including oak, walnut, ash, cherry, maple, birch and beech. 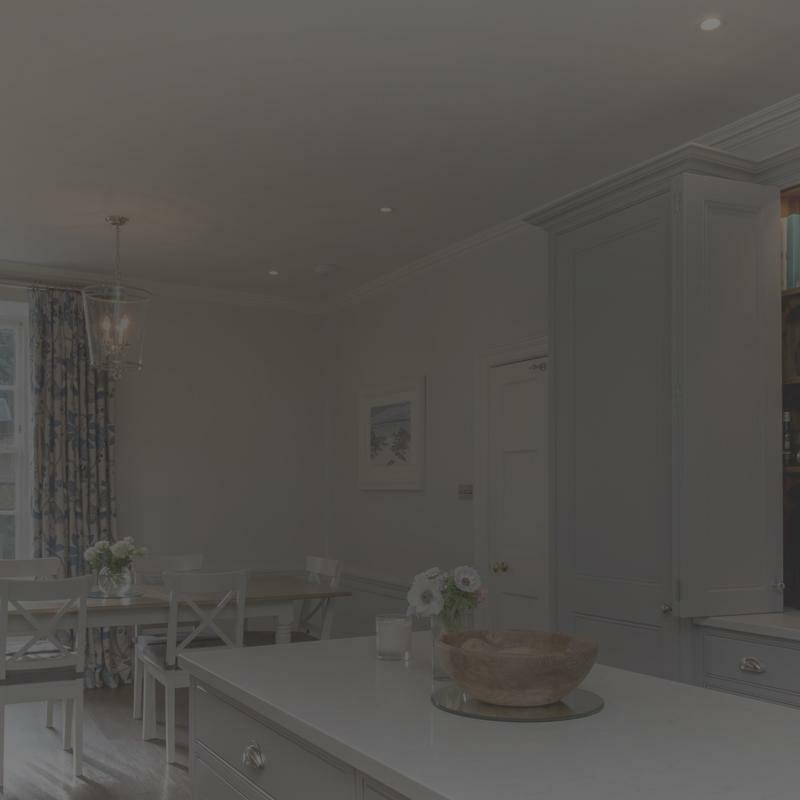 Our factory uses traditional cabinet making skills combined with modern technology to produce completely bespoke units so we are able to design your kitchen completely for your space, without having to compromise. One of our signature units are stunning pantries, designed thoughtfully and with your kitchen and lifestyle in mind. They become a wonderful centrepiece, adding classic style whilst providing an abundance of storage. Kitchen islands are part of many modern kitchen designs and can offer you more space for cooking, preparing, working and socialising. 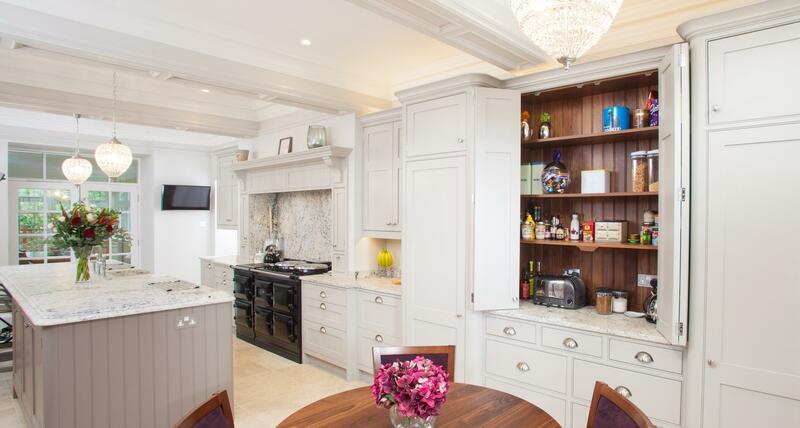 We can design your island to utilise lots of clever storage solutions and space saving devices. Kitchen islands can also be a real focal point of a kitchen, allowing you to play with different paint colours, wood finishes and textures giving your kitchen individuality.